We are ART International Limited. We are motor manufacturing specialists who, thanks to our loyal customers, have been in the business for over 30 years allowing us to develop and hone our technical skills and know-how. Our aim, via the use of our high spec technology and state of the art facilities, is to provide motor enthusiasts with incomparable expertise. Our wealth of technical knowledge makes us specialists in the development and manufacturing of fully-equipped and custom built motors. In recent years our clients have ranged from larger corporations to individuals and our facilities and team of experts means we are able to provide all varieties of requests with a high-class service. We welcome all of our customers requests with our own enthusiasm and passion for the industry. We do not just provide a service. We want our customers to have a fully enjoyable and personal experience. 258. Kitanagai, Miyoshimachi, Irumagun, Saitama. 354-0044 Japan. Please do not hesitate to contact us for all enquiries. You can click here for our online enquiry form. We request that you enquire and make an appointment in advance of visiting our offices. To date the majority of our requests have been for major maintenance, improvement and restoration for European vehicles. Their imports total around 350 per year. The majority of these will be for our UK customers for whom we will gather the specialists parts from our global partners in order to create their custom request. These parts have ranged from internal engine parts such as the valve spring piston, the crankshaft, aluminium panel sheet mental lined with fibre and dry carbon and plastic parts. We can also curate the interior of the car body and paint work as per our customers requests. We thank our customers for their individual request which allow us to develop our knowledge and skills further. Each and every one of our customers individual requests are met with an enthusiasm and motivation to get any job done to the highest degree and by any way possible. Our customers can rely on ART for this. We acknowledge that it’s not always easy for foreign vehicle manufacturers to receive high level Japanese type approval. We work with SVA vehicle manufacturers in the remake and development of vehicles in line with Japanese specifications, tests and validations. We are able to assist with a wide range of testing from exhaust, noise, light and brake testing through to proxy services. We also conduct emissions tests to ensure that the vehicle is within the correct regulation levels. Our knowledge allows us to conduct our import and export work in line with all of our global partner’s trade laws. 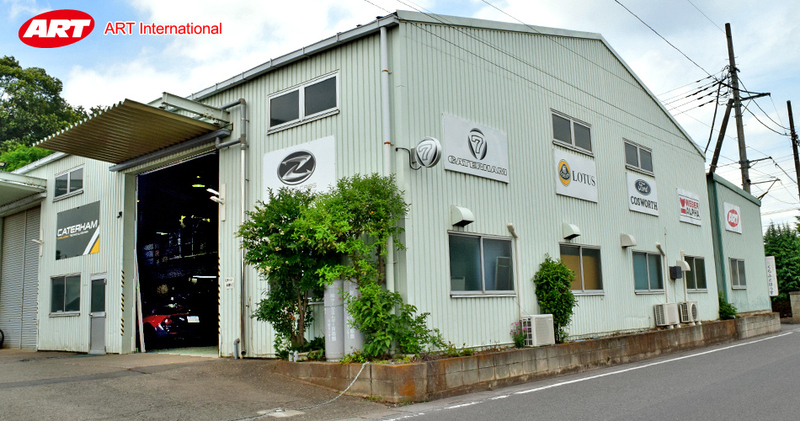 We can be relied upon to ensure that the vehicle is in line for approval which is evidenced by the hundreds of units that we have helped to sell and deliver in Japan. Working with our manufacturing and production partners we are able to provide specialist vehicle development from a customer’s original design. Not only do we carry out strength endurance tests but we also provide manufacturing services, including original prototype production, and improvements to imported vehicles to a department type approval certification level. Through this, our company has previously been privileged enough to be involved in sales within a variety of markets. We stay remain as an outsourcing partner but will work with our clients in the powertrain, chassis and suspension development amongst other services. We also provide decorative vehicle production services from whole automobile design and production through to parts and maintenance services.? Gone are the days of sole distributors for the import and sale of engine management systems. Unfortunately some of these systems are also now outdated. We are proud to say we are the sole distributor for the highest regarded ECU. Working with Weber, Weber Alpha, ARTSCS Delta, MBE and many European engine management systems we apply our technical expertise to a range of vehicles from modern cars through to classic and historic cars. We also support our clients in the import and sale of European cars and also providing them with repair and maintenance services for these.? We ensure that our state of the art ECUs are up to date in their correspondence with the domestic market OE specifications and requirements. We are the sole Japanese agency able to provide ASNU injector diagnosis. We are also the only agency able to import and sell Asnu road maintenance injectors. These include the testing and maintenance equipment and also the specialist injector. We are environmentally conscious and aim to be as eco-friendly as possible in all of our endeavours in consideration of both the industry and our future generations. The purpose of this site is as an introduction to the business, work and products of ART International Co., Ltd. We do not claim to pay full attention to all of the information contained this website nor vouch for their contents. Art International Co., Ltd cannot be held liable to damages resulting from the use and reading of this website. In addition, Art International Co., Ltd are not liable to the damages caused as a result of accessing this website. The URL of this website and information are subject to change without notice. All content contained on this website is copyright of Art International Co., Ltd.
Any purpose other than for personal use, without prior written permission, is prohibited. The link to this website is in principle free link. However, please note that this may be subject to change upon renewal of this website. In the event that the non-URL is changed, please access the top page of the site via http://www.artweb.gr.jp/. Should you wish to contact a member of our team please do so via email. Links from the following sites are strictly prohibited; websites containing content including the public order and morals or illegal content; those involved in illegal activities; those involving or possibly containing information which may damages our website and/or business; sites/pages containing contents which are defaming and slander of our products. Please be aware that the frame of the website is configured and the link which this opens to may not always be within the frame and will always display in a separate window. Please note that links from a website page/inappropriate that in cases other than those listed above are also prohibited. Personal information such as your name, e-mail address, and phone number registration during the inquiry from the customer personal information will not be used for purposes other than those stated. However please note that there may be websites masquerading as ART International Co., Ltd that may be in the act of collection of personal information. The company endeavours to pay the utmost care to the protection of private and personal information. However we may use your personal information collected via this site in relation to the services we provide. In these cases we will protect your personal information as defined as follows; information which can be identifiable such as name, address, e-mail address, telephone/fax number, gender and any other personal information as provided by you on this website. Your provision of your personal information on this site indicates your agreement for the purpose of this use and not for other purposes. Your personal information will only be handled and managed by individuals within appointed positions and whom will access and manage your details as and when deemed appropriate. Any personal information you have provided to this site will not be disclosed to any third parties without your prior consent and permission. 3) if it is necessary for the operation of this website for the company to disclose this personal information to an entrusted external company. In these cases, the personal information disclosed will be limited only to the extent necessary and for which a written disclosure agreement will be in place.